It would seem ironic to think about high blood pressure exercise since physical activity can also cause your blood pressure to rise. But the fact of the matter is that blood pressure exercise is one of the things you can do to manage your blood pressure levels. But don’t sign up for that marathon just yet! Since excessive physical activity does contribute to high blood pressure, you’re going to have to exercise in moderation. Doing regular physical activity helps in making your heart stronger and more capable of pumping blood around the body with less effort. If your heart needs to do less work in order to pump blood, there is less force on the arteries so blood pressure is lowered. And you can do all these without taking medication. 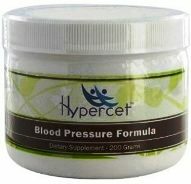 High blood pressure exercise lowers systolic blood pressure (the top number in blood pressure readings) by about 5 to 10 mm Hg on average which is comparable to what blood pressure medications can do. On the other hand, if you are not experiencing high blood pressure symptoms, then exercise can maintain your blood pressure within desirable levels even as you age. To truly keep blood pressure levels down regular exercise is needed. You need to put in one to three months’ worth in order for exercise to really, truly have an impact. And the benefits only last as long as you are exercising. Strengthening and flexibility exercises like lifting weights are important in every fitness plan. 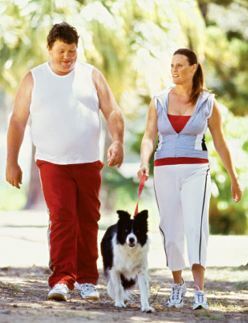 However, exercises to lower blood pressure are mainly made up of aerobic activities. While a lot of physical activity is needed on your part, you don’t exactly need to be spending hours in the gym every day. Not to mention that there will be days wherein you just can’t seem to squeeze any exercise into your schedule. What you can do in this case is to start adding physical activities into your day. You’re looking for aerobic activities, right? High blood pressure exercise can come in the form of household chores (raking leaves, scrubbing the floor, or mowing the lawn), climbing stairs, cycling, jogging, walking, and swimming. Anything that increases your heart rate and breathing rate can be considered an aerobic activity, so aim for those to prevent high blood pressure. Most days of the week, make it your goal to log in at least 30 minutes of exercise. If you don’t have time at all, aim for short bursts of activity, breaking up the 30-minute requirement into three 10-minute sessions that you can more easily work with. Weight training can be a bit problematic since it does cause spikes in blood pressure levels. However, there are long-term benefits to it as well and the spikes are usually temporary. As a rule, regardless of the exercise or activity you are doing, stop and take a rest if you start feeling chest pains or dizziness or if you are out of breath. 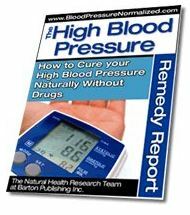 High blood pressure exercise is meant to help you, not kill you! I need help to lower my bllod presure i’m currentluy on high dose of diavan 360 ml and norvec 25 ml my BP is not moving but still at 160/95 on the ave. Can you help lower it and may be one day stop the medication.